Marshall Manoff is the Managing Partner of Blue Cove Capital, LLC. Marshall started his practice at AXA Advisors, LLC in 2008. He works closely with his clients to implement and maintain suitable financial planning strategies for the accumulation, conservation and distribution of wealth. Over the last decade he has formed strategic partnerships and developed a competent team with a range of skills who are committed to building long-term relationships based upon trust and integrity. 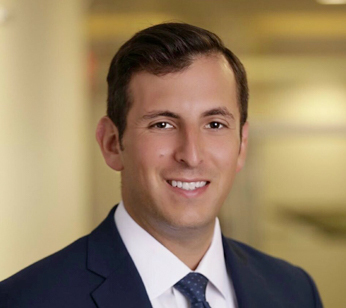 Marshall prides himself on being the youngest advisor to lead an advisory group in the New York office. Marshall holds degrees in both Finance and Management from The University of Delaware. Additionally, he earned the Retirement Planning Specialist designation from the Wharton School of Business. He maintains the Series 7 and 66 FINRA securities registrations, as well as Life & Health Insurance Licenses. He is a qualifying member of the prestigious Million Dollar Round Table (MDRT), an elite international network of the top 5% of financial professionals globally, who service their clients with exemplary performance and the highest stands of ethics, knowledge, and productivity. He is also a participant in the AXA mentorship program, designed to help new advisors develop their practices. In 2015, his mentee was ranked #1 nationally in his company assigned class. Marshall lives in Port Washington, NY with his wife, Jillian. He is an avid sports fan and enjoys cheering on his New York teams. In his free time you can find him on the basketball court or during the summer months, relaxing at the beach. Additionally, Marshall is an active fundraiser for Memorial Sloan Kettering Cancer Center and Operation: Heal our Heroes.